When Samuel Cross was growing up, he was rarely found without a book in his hands and that was the way his mother, a widow, wanted him raised. His uncle, Stephen Larkin, a frontiersman like Sam’s father, wanted him to be strong and able to fend for himself, so he would take him into the mountains every summer to teach him how to fight and use a weapon. He proved to be as adept at these subjects as he had been at book learning, but when he was eighteen and his mother died, he took a job working for Chandler, the trader at Fort Bostwick, for whom he was a well-paid clerk and, eventually, watchdog of the business. What he didn’t understand was that he looked forward to troublemakers coming into the shop so that he could confront and deal with them. 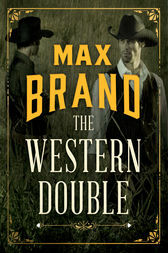 It was during a visit from the district marshal that he learned of Chandler’s crooked ways and of his own notoriety and reputation as a safety killer, one who never fights unless he knows that the law is sure to protect him. When the marshal tells him to leave the fort and learn how to live right, Cross decides to head East. His strength and skill with a gun make Cross both friends and enemies on the boat he is taking down the Mississippi. He is saved one night from a fatal stabbing by Charles Granville, a well-to-do Southerner, who recognizes a startling resemblance between himself and Cross. He proposes that Cross repay him by taking part in a daring deceit. Feeling indebted to Granville, Cross agrees and heads to New Orleans. But can Cross actually pull off the masquerade and fool Granville’s parents, friends, and especially his beautiful sister, Nancy. And what is behind Granville’s desire to have Cross take on the role of himself?